Every board needs accessories. 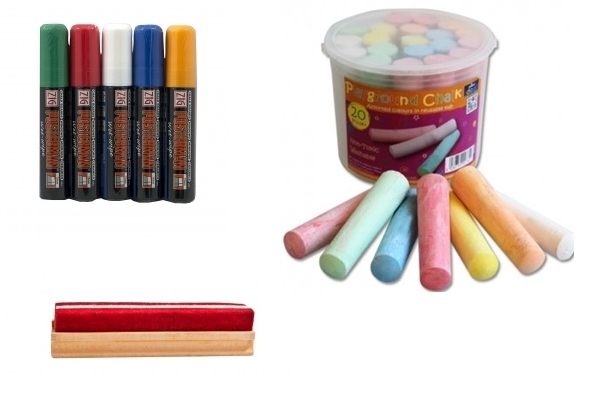 We offer fixing kits for chalkboards, white boards and pin boards as well as all types of liquid chalk pens and traditional coloured chalk. 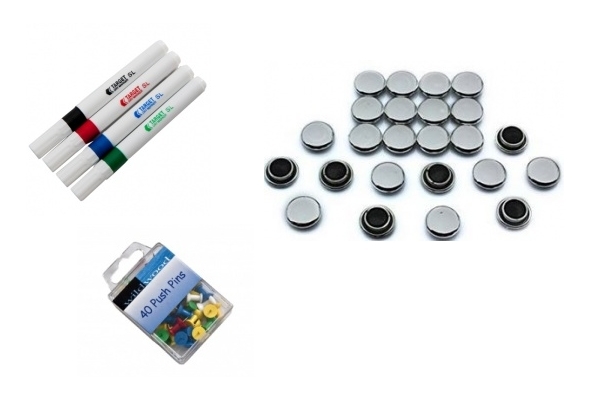 Browse through our range of pins and magnets to compliment your board and even have a look at our novelty items. Here you can also find chalkboard paint to renovate an old chalkboard and printed headers for your A Boards.